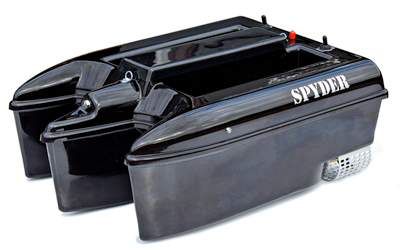 This listing is for the Microcat MK3 Bait Boat plus the Graphic Echo Sounder installed. Receive a boat bag and spare set of heavy duty boat batteries worth £44.95 in with this deal. 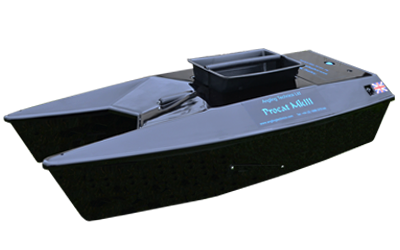 The Microcat MKIII is the first boat released in the Microcat range and boasts the longest hoppers of any other bait boat..
With a low and wide profile design, which sits on a catamaran hull, this boat is a very stable boat and can perform well even in choppy waters. 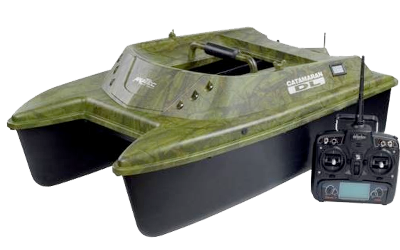 The low profile also enables the boat to be driven under low hanging tree branches with ease, allowing for rig placement in areas that would otherwise be un-fishable. Able to carry up to 4kg of any bait across its twin hoppers, you are able to distribute vast quantities of bait directly to your spot. 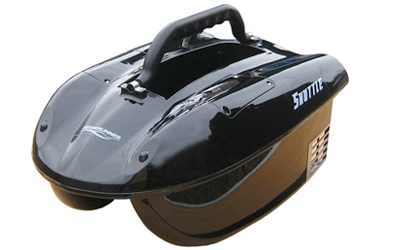 The hoppers can be opened individually, allowing you to distribute bait widely over an area, or simultaneously, for a huge direct hit of bait to one specific area. For more detailed information and pictures, please see the Microcat listing on this web site. 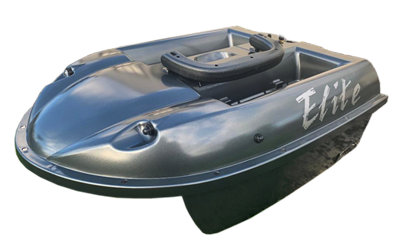 Fully compatible with existing Angling Technics Echo sounder transponders. Tough, robust and attractive waterproof housing.